shadz. wot it look lk. Wallpaper and background images in the shadow el erizo club tagged: shadow the hedgehog. NO SHADOW!!! GNABATTE!! GANBATTE KUDASAI!!! who would do that to shadow?! OMG!!! 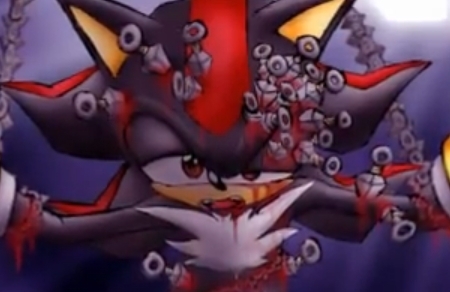 WTF HAPPEND TO SHADOW?!?!?! *growls* WHOEVER DID THAT IM GOING TO KILL THEM!!!!!!!!!!! Stop that AshTheWolf!!! You don't know thig about shadow so mind your own business shadow Is not emo!!!!!!!! You would be pissed off to if you didn't have any friends,Never smiled,etc. I mean seriously get a life! Quite!! like you know know everything about him! Just because he's red and black and never smiles doesn't mean he's emo! That's what really upsets me! I will kill who ever did this to Shadow! !